2017 was a good year for red-cockaded woodpeckers in Virginia. 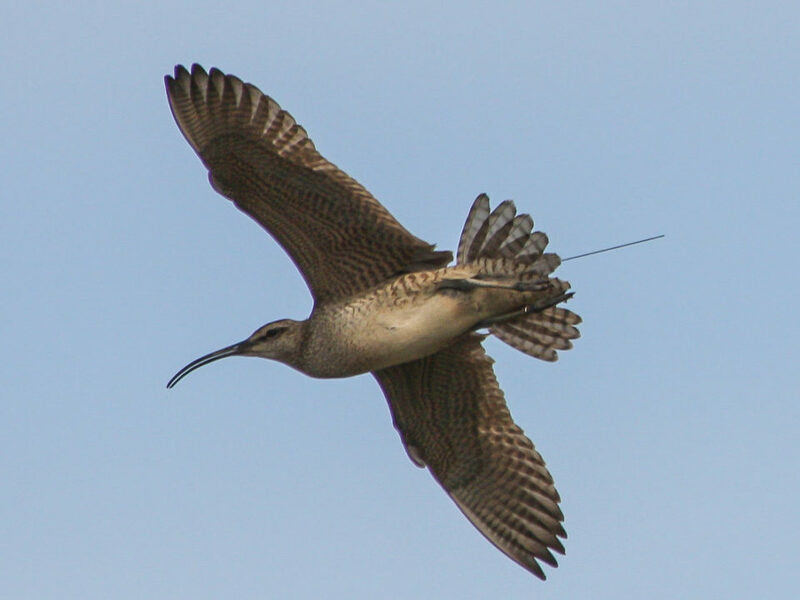 The combined spring, breeding, and fall surveys within The Nature Conservancy’s Piney Grove Preserve (PGP) and the U.S. Fish and Wildlife Service’s Great Dismal Swamp National Wildlife Refuge (GDSNWR) identified 96 individuals during the calendar year. 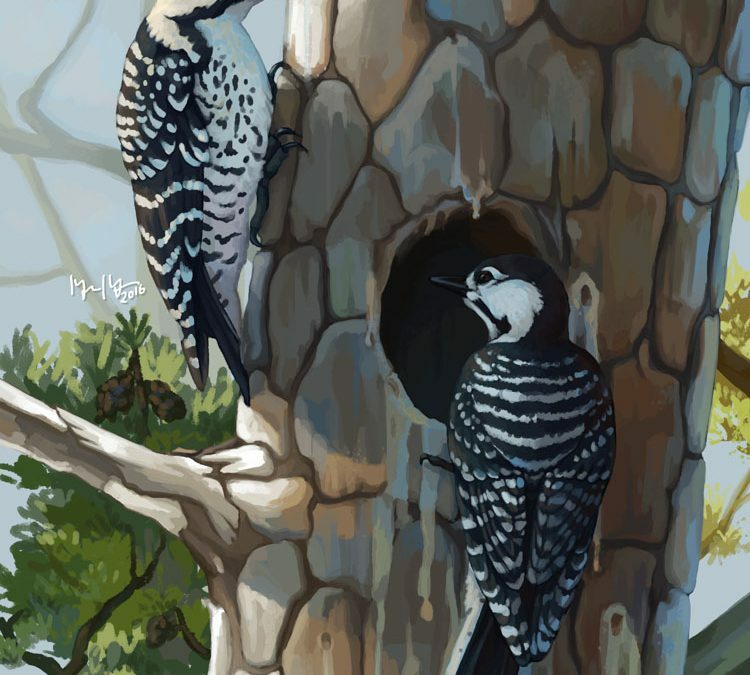 This is the largest number of woodpeckers known to occur in the state since the early 1980s and includes 61 resident birds, 27 birds fledged during the 2017 breeding season, and 8 birds that were moved into the state from Carolina Sandhills National Wildlife Refuge. 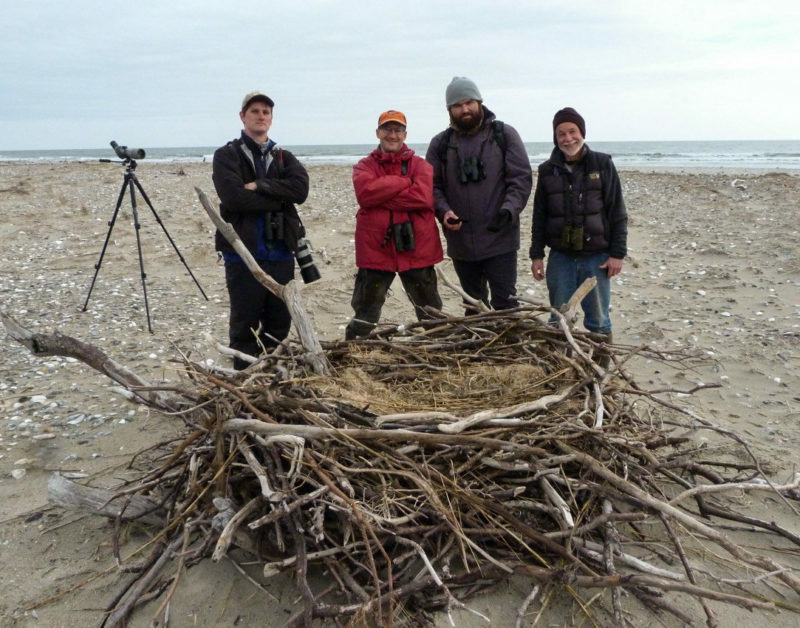 Ongoing management efforts by The Nature Conservancy, The U.S. Fish and Wildlife Service, the Virginia Department of Game & Inland Fisheries, and The Center for Conservation Biology are increasingly pushing the population toward recovery goals. 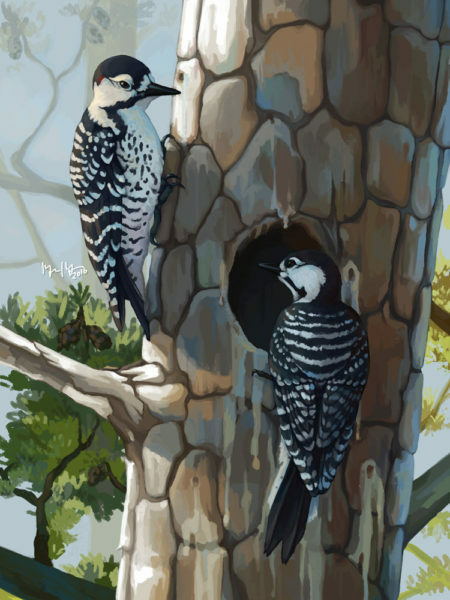 Red-cockaded woodpeckers. Painting by William & Mary undergraduate student Megan Massa. The 2017 breeding season included 15 potential breeding groups (13 in PGP; 2 in GDSNWR) that fledged 27 young (18 females; 9 males). Fourteen of the 15 breeding groups actually made breeding attempts and 12 actually fledged young. 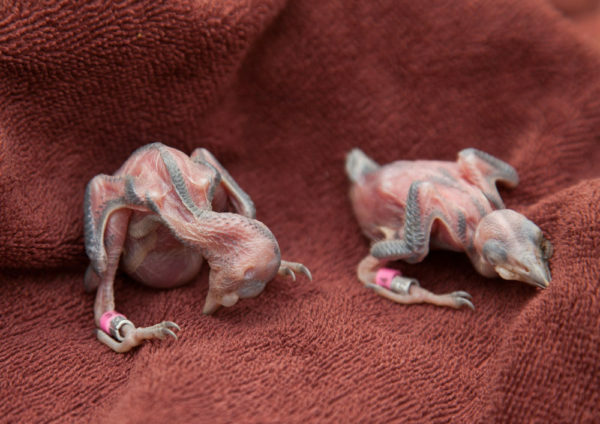 Of 45 eggs that were followed through the breeding season, 24 (53.3%) hatched and 23 (51.1%) fledged. Seventeen (73.9%) of these fledglings were still present within the population during the winter count. Based on the results of the winter census we are hopeful that the Virginia population will support an increase in the number of potential breeding groups for the 2018 breeding season. 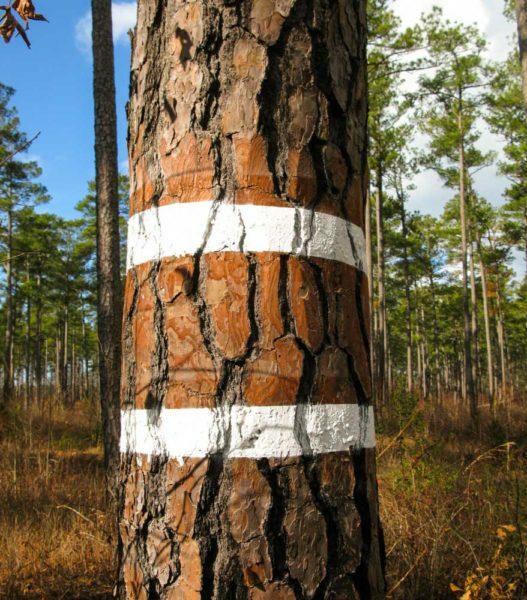 Freshly painted woodpecker cavity tree within Piney Grove Preserve. Ongoing habitat and population management within Virginia by a dedicated consortium is contributing to slow population recovery. Photo by Bryan Watts. The first young woodpeckers produced in the Great Dismal Swamp National Wildlife Refuge as part of the ongoing establishment project. Photo by Bryan Watts. 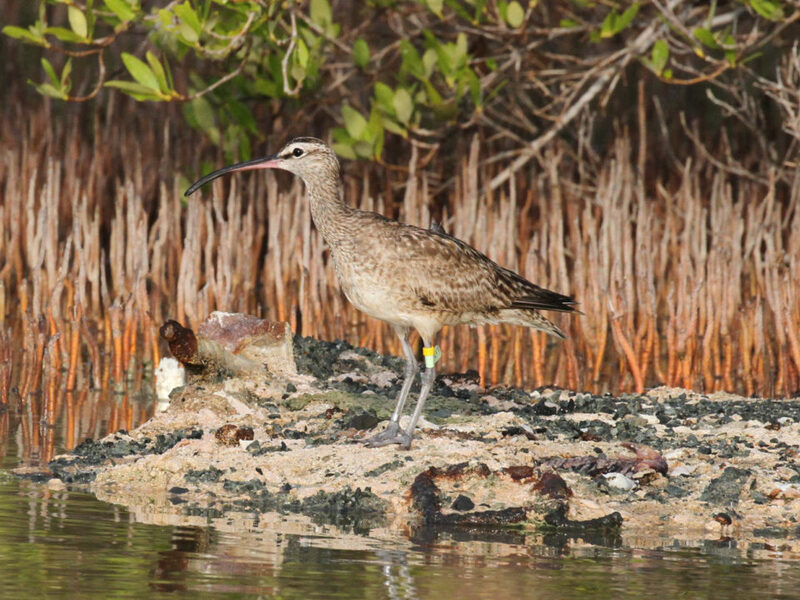 Hope on her winter territory among the mangroves of Great Pond on 26 August 2016. Photo by Lisa Yntema. 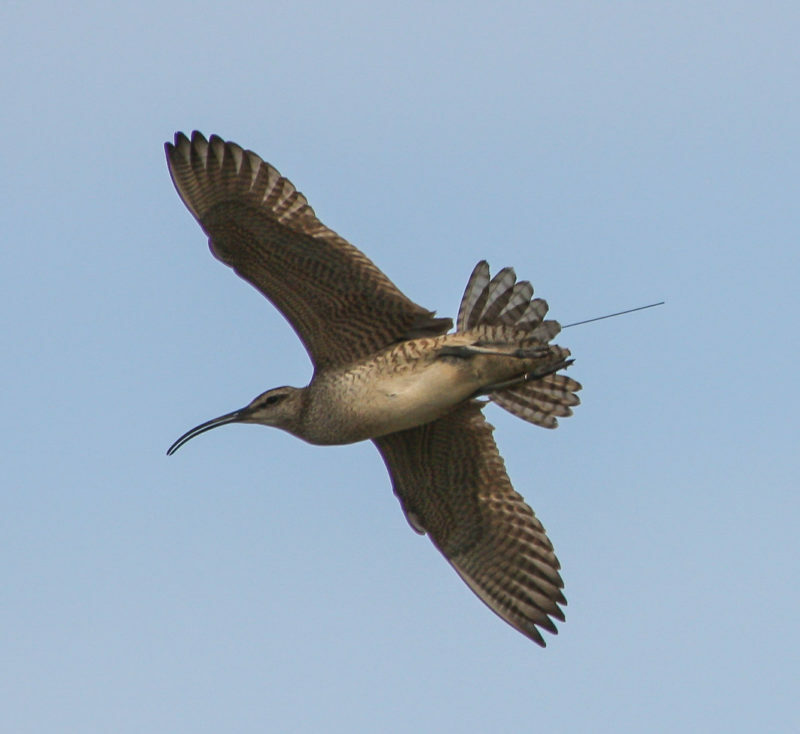 Whimbrel in flight with transmitter antennae extending beyond the tail. 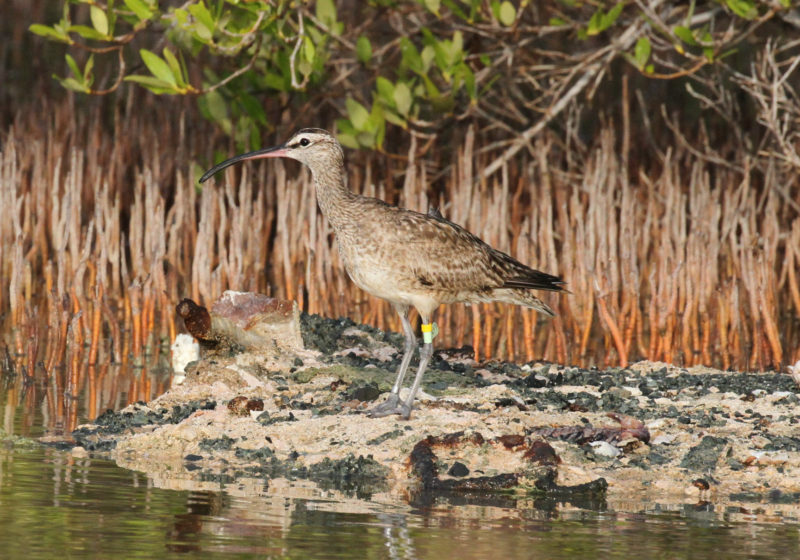 CCB and partners have tracked whimbrels to find out more about their annual cycle including the location of mortality events. Photo by Fletcher Smith. 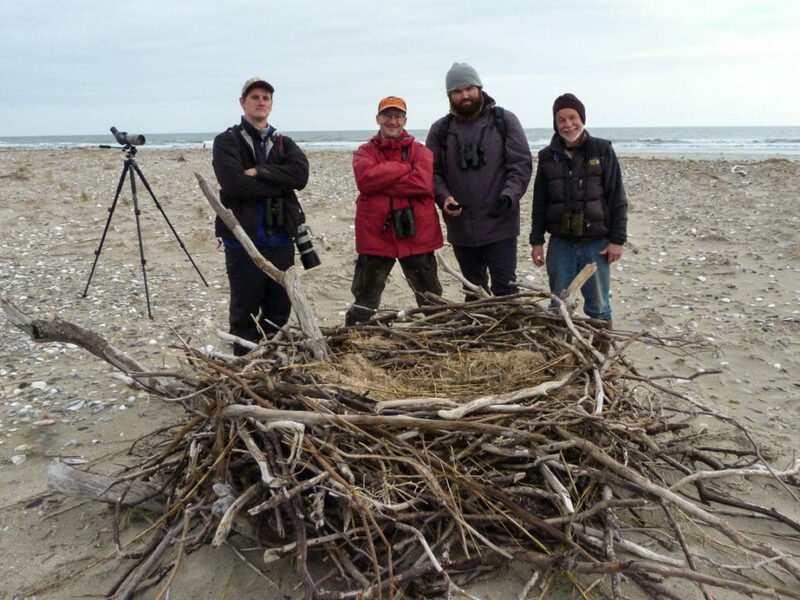 Christmas Bird Count crew pose with a new eagle nest on the north end of Smith island on 30 December 2018. Photo by Frank Renshaw.